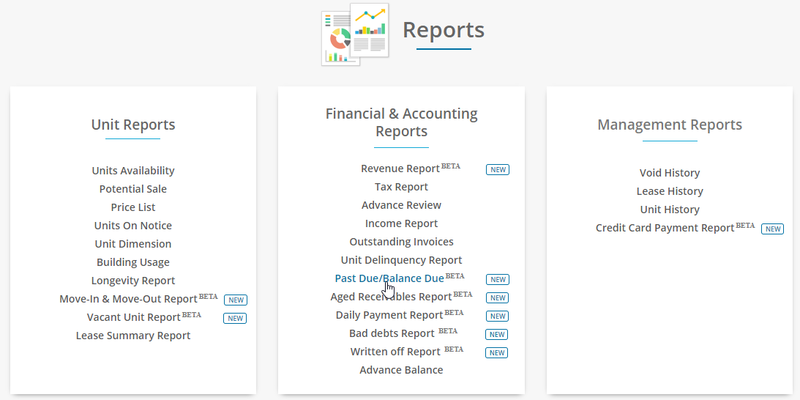 Set select report as a balance due and select location and set the search criteria as per the need. Now click search button to view reports. The balance due is the total amount the tenant owes to the current date. This report will display the balance due and late fee separately. The Overdue is displayed in days and months. Also, this report includes last payment date. Finally, you can download the report.